Have you ever heard of the Borscht Belt? It was a very popular resort area in the Catskill Mountains that is the home to numerous hotel, motels and resorts that were visited during the last century by those whose ancestry was from Eastern and Central Europe, Western Russia, and especially the Ukraine. It was named after Borscht, a beet-based soup/stew that has been eaten by those cultures for the past few centuries, especially the Ukraine. The Health Coach grew up not far from the Borscht Belt and traveled to and through the region as a child. He also lived in Sullivan County, NY for a couple of years, which is in the very heart of the Borscht Belt. Quite coincidentally, he also grew up in an area that boasted one of the largest Ukrainian Churches in the world, and therefore was populated by a large number of Ukrainians. He worked and played with them, and was always struck by their extraordinary strength, speed and robust health. They were great athletes and had happy dispositions as well. Surely, these people must be doing something that the rest of us are not. And so they were. It appears that borscht originated in the Ukraine and was the home to many a varied recipe utilizing the plentiful beets that grew well in their mineral-rich soil. Whether a borscht recipe is of Polish or Russian or German descent, all roads lead back to the Ukraine and should always contain beets. Where cabbage and potatoes and tomatoes are also used, it is always the beet that makes the borscht. Why all the history and culture surrounding beet borscht? When a region of the country (the USA) is named after a food recipe, it must have great significance. Borscht was such an important part of the diet of an entire culture that they brought it from the old country and kept it alive in their new home country. But why? Because beets are an extremely effective food for detoxifying the liver. And beet borscht is a great way to receive these detox benefits in a highly nutritional stew. 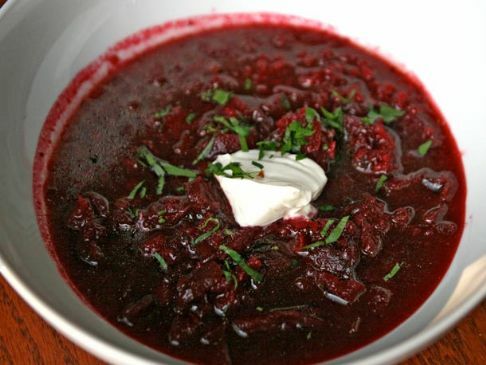 Borscht has been highly valued as an essential meal for those who recognized its capacity to produce positive effects on the digestive process that no other foods could produce. Because the combination of ingredients found within any recipe of borscht can increase its detoxifying capacity or tone it down, we recommend staying true to the original beet-heavy recipe since it is the beet that functions as a roto-rooter for the liver. The beet mobilizes the liver like perhaps no other food and in so doing moves gallstones, hardened bile, accumulations of cholesterol, calcified “liver gravel”, chaff and other waste products through the bile ducts and into the GI tract. In this way these unwanted detoxification byproducts can be permanently expelled from the body. In this day and age with such an ‘epidemic’ of liver congestion going on, keeping the liver as decongested as possible has become a necessity if one is to enjoy good health. The average American liver contains hundreds of gallstones. Yes, that’s right hundreds; some even have thousands of tiny little gall-pebbles which clog up the main bile duct and smaller bile ducts, impeding the flow of bile. This predicament has has quite negative effects on the entire digestive process. It has also created a very conducive environment for many of the modern-day liver diseases to evolve. The liver is the major detoxification organ of the body and therefore ought to be kept free and clear of gallstones. Our diet can contribute to gallstone formation, as well as gallstone dissolution and movement out of the liver and gallbladder. Beets in the diet on a regular basis are perhaps the best way to promote the movement of gallstones toward the bile ducts and out of the liver. Even after you perform a liver/gallbladder flush, eating beets can be instumental in mobilizing gallstones from the three corners of the liver so that they may appropriately exit this vital organ. What is it that make beets such a powerful liver detoxifier? “Beets and beet tops are the richest source of betaine, a natural liver detoxifier and bile thinner.” By thinning the bile, the flow is facilitated which serves to greatly relieve low grade constipation, which plagues much of sedentary Western society. As a root vegetable, beets are also known to increase the regularity of bowel movements which allows the passed gallstones to exit the GI tract. There are many other health benefits which come from eating beets on a regular basis. Here’s a nice list which will motivate those who might have been turned off by canned beets as a kid. (1) Beet juice is alkaline and helps stave off acidosis, a harbinger of all diseases. (2) Beet juice helps stimulate liver cells and cleanse and protect bile ducts. It also helps relieve the kidneys of stress to help cure gout. It also helps relieve constipation. (3) Beets help cleanse the blood and create more red blood cells. 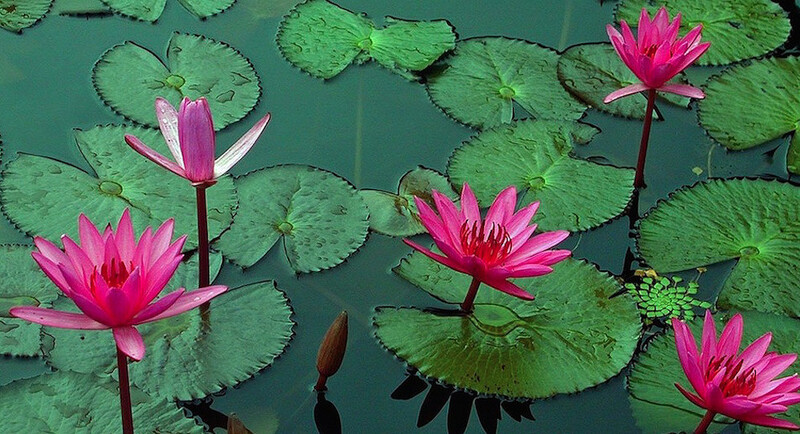 They are useful for treating and curing anemia. Heavy daily beet consumption has even been used to treat leukemia and other cancers. With normal consumption, one can benefit from beets’ anti-carcinogenic properties. (4) Red beets and their leaves are a high source of folate, which is the natural base of folic acid. Folate helps build tissue and red blood cells. Folic acid from folate is more beneficial for pregnant women than folic acid synthetically derived. It is healthier long term to depend on folate rather than to use folic acid supplements. Unfortunately, the two terms are misused interchangeably. (5) Beets contain lots of lutein and zeaxanthin, both of which help prevent or even cure macular degeneration and other age related eye issues. (6) Beets are a high source of phytonutrients called betalains. 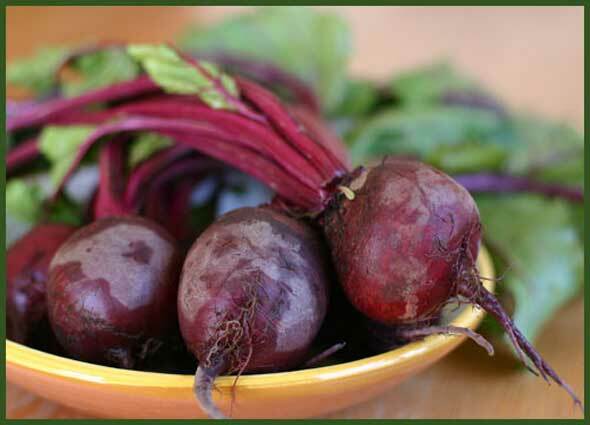 Beet betalains provide strong antioxidant, anti-inflammatory, and detoxification support. (7) Beets help lower blood pressure, maintain blood vessel elasticity, and even help eliminate varicose veins. (8) Beets are high in fiber, potassium, magnesium, niacin, calcium, iron, and biotin. Now you can see why borscht is such a great way of getting your weekly beets. When the recipe includes cabbage and celery, onion and garlic, and dill and parsnip, the sweetness of the beet is both toned down and quite savory. In case you’re wondering whether you ought to pay more attention to your liver, here’s a great quiz from our holistic friends at AltMedAngel.com. “In today’s drugs-and-surgery approach to health care, the old concepts related to liver health are all but forgotten. In the holistic camp however, the liver is paid close attention. The following is a little quiz to help you judge the health of your liver. If you answer yes to five or more of the following questions, it’s important that you pay more attention to liver health. 1. You suffer from dry, brittle nails and/or chronically painful joints. 2. You have persistent skin problems (especially psoriasis). 3. You have a habitual bitter taste in your mouth. 4. You have constant dry eyes (which are not caused by prescription drugs). 5. You have menstrual problems. 6. You have chronic indigestion when eating fatty foods. 7. You have burning feet. 8. You often have a generalized queazy feeling. 9. Your stools are perpetually light-colored. 10. You have periodic bad dreams or nightmares. On the emotional side, if you experience lots of anger, or fits of rage, or extreme frustration or general impatience, chances are the liver is in much need of a detox. The liver is well known for being the repository of certain emotional energies, especially anger. When the liver is clogged with toxins and congested with gallstones, how can you feel good? All the normal detoxification pathways are operating at low efficiency and all the bad stuff starts to back up. If you’ve answered “yes” to a majority of the questions above, it’s time to also consider doing a gallbladder/liver flush. Here’s our version of the Hulda Clark Liver Cleanse & Gallbladder Flush protocol. It has proven to be an easy and very effective way to release the gallstones which are not passing normally out of the liver or gallbladder. Regardless of how you choose to address your liver health, both borscht and beets are foods which ought to be included in your diet whenever you can work them in to your menus. Truly, they are nature’s way of assisting the human body in off-loading all the accumulated toxins, waste products and other harmful substances which the human body wants to be rid of.